The Male Success Alliance Annual Spring Summit is our annual student success conference. The Summit targets local middle schools and high school students and brings them to campus for an event including a keynote speaker, interactive workshops, and a college and resource fair. 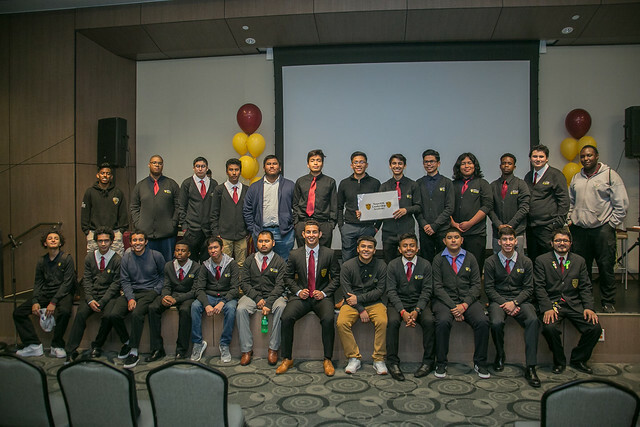 Each year the program hosts over 700 young men from over 20 schools in the South Bay of Los Angeles. The 10th Annual Spring Summit will take place on March 8, 2019, in the LSU Ballroom from 8:00 am until 2:00 pm. Our student success conference theme is "Legacy." Our keynote speaker is Dr. Cesar A. Cruz, the co-founder of Homies Empowerment. Dr. Cruz holds a doctorate in Educational Leadership from the Harvard Graduate School of Education. Click on the image at left to view the full 2019 Spring Summit flyer. The 9th Annual Spring Summit took place on March 23, 2018. The theme was "They Tried To Bury Us But They Didn't Know We Were Seeds." Students had the opportunity to discuss the responsibility they have to build upon the foundations that have been laid for them, as well as learn how to create meaningful change in their community.